Definitely my home office, on my iMac, while listening to talk radio. I can’t imagine trying to write in a coffee shop. I need to be alone, in my own space. I do have a notebook on the end table next to my chair in the family room where I read and watch TV, and a notebook on my bedside table (I even have a pen with an LED light in it, so I can write ideas down if they come to me in the middle of the night, without turning on the lamp). I like to be surprised at the ending, but not feel cheated by it. A clever twist goes a long way to win me over. I try to include a twist at the end in my own (limited) short crime fiction. I’m a daytime writer, but it can be morning or afternoon, depending on what else I’ve got going on that day. I try to write every day, seven days a week, even if it’s only for an hour. I gave up caffeine about three years ago, and now I only drink herbal tea. Tetley has a flavor called Warmth, which is a blend of cinnamon and rooibos, which I love. I definitely read my genre (mystery) while I’m writing. I try to read four to five books a month, typically one anthology of crime fiction (because I’m trying to lean more about the art of the short story), one or two mystery novels (usually one by an author whose series I follow, such as Michael Connelly’s Harry Bosch, or John Sandford’s Lucas Davenport) and one “new” to me author, plus one “literary” fiction (such as Joseph Boyden or Amy Tan), and one “friend recommendation” or NYT bestseller, which could be pretty much any genre except sci-fi, paranormal or fantasy. I’m also not big on biographies or memoirs, though I do read them on occasion. I can’t imagine not writing. Writing isn’t what I do. It’s who I am. Even when I’m out for a run, I’m writing or revising a story in my head. In The hanged Man’s Noose, a greedy developer comes to a small, historic town with plans to convert an old elementary school into a mega-box store. As you can imagine, most of the local Main Street merchants are less than enthusiastic. I lived in an area that, over the past twenty-five years, had gradually been transformed from agricultural and semi-rural to cookie cutter subdivisions and big box stores. It’s always interesting to read about the existing residents fight against the latest proposed development in their particular backyard. I thought: “To what lengths would someone go to stop it?” And it went from there. Truman Capote. I remember reading In Cold Blood when I was just a kid; in fact, my elementary school teacher was a bit taken aback when that’s the novel I chose for my book report! I’ve since reread it as an adult, and watched the movie Capote a dozen times. In a time when the media was far less intrusive, and the public was far more sheltered, Capote brought the murders of the Clutter family, and the story of Richard Hickock and Perry Smith, to life. And he did so brilliantly, albeit at a high personal cost. Agatha Christie. I spent my teens and early twenties devouring every book she wrote. I still love a locked room mystery, though I’ve never attempted to write one. Put that on the to-do list. Sue Grafton. I discovered Grafton at G is for Gumshoe, and immediately went back to A is for Alibi and continued the series. I’ve read every one of her novels. I taught Creative Writing for a while, and one of the assignments I’d give my students was to read A is for Alibi, and then Grafton’s latest (currently W is for Wasted) because her writing has become so much more layered over the years, the plots more complex. Grafton was really good to start with, but she’s evolved into a master of the genre. Agatha Christie said: “Write even if you don’t want to, don’t much like what you’re writing, and aren’t writing particularly well.” It’s great advice. As a writer, you have to push through the tough times. It’s the only way to get to THE END. 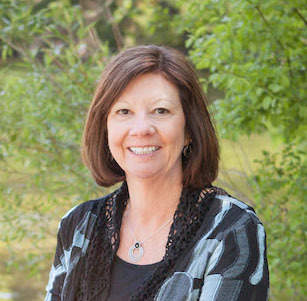 You can find Judy on her website, http://judypenzsheluk.com, where she blogs and interviews others about the writing life. You can also find her on Twitter @JudyPenzSheluk, Facebook.com/JudyPenzSheluk, Pinterest/judypenzsheluk, and on amazon.com/author/judypenzsheluk. Journalist Emily Garland lands a plum assignment as the editor of a niche magazine based in Lount’s Landing, a small town named after a colorful nineteenth century Canadian traitor. Emily quickly learns that many are unhappy with real estate mogul Garrett Stonehaven’s plans to convert an old schoolhouse into a mega-box store. At the top of that list is Arabella Carpenter, the outspoken owner of an antiques shop, who will do just about anything to preserve the integrity of the town’s historic Main Street. But Arabella is not alone in her opposition. Before long, a vocal dissenter of the proposed project dies. A few days later, another body is discovered. Although both deaths are ruled accidental, Emily’s journalistic suspicions are aroused. 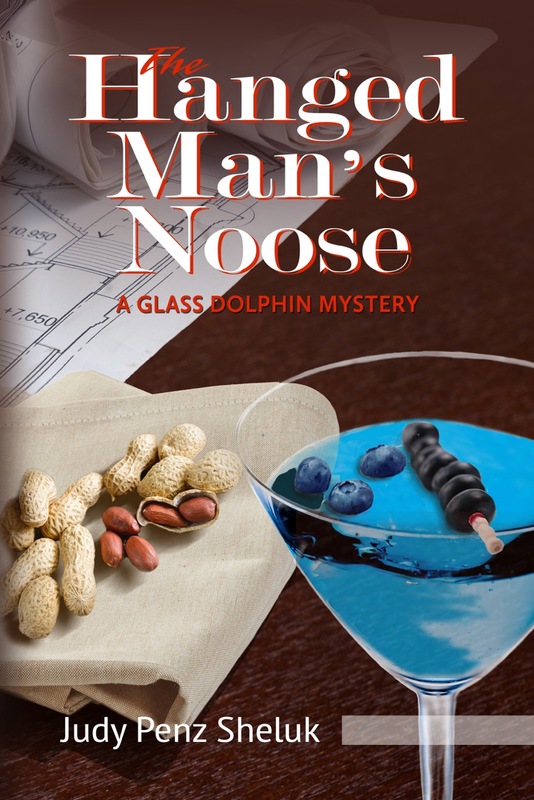 Compelling characters with hidden connections and a good, old-fashioned amateur sleuth getting in over her head without the distraction of cats, spirits, or recipes makes Judy Penz Sheluk’s Glass Dolphin series one to read. Upon turning the last page of The Hanged Man’s Noose, I wanted to hop in the car and drive straight away to Lount’s Landing, sit down in the tavern that lent its name to the title, and start quizzing the characters on what was going to happen in the sequel. Thank you for hosting me today, Jim. As one who also needs to be alone to write, I can relate to your need for privacy. I like the pen/light idea--got to get one of those. Best of sales with The Hanged Man’s Noose! Thanks for stopping by Allan and for the good wishes. The LED pen is a great invention! Buy on eBay, very reasonable. I'm also a fan of Sue Grafton and look forward to each installment. Best of luck with sales...The Hanged Man's' Noose sounds delicious. Hi Joanne, thanks for stopping by. Sue's "X" is coming out this month. Can't wait! I hope you also enjoy The Hanged Man's Noose! Judy -- it's my pleasure to have you on today's blog. My fingers are crossed for wonderful sales.